Just as we did in previous editions, we wrote the chapter on design & usability for the Marketingfacts yearbook. For several years now, we have been writing the chapter on Design and Usability for the renowned Dutch marketing blog Marketingfacts. For a marketing blog? Yes, that’s right, just for a marketing blog. Although the disciplines of marketing and design may seem far removed form each other, they should in fact be working in close cooperation. Such concerted efforts provide a unique combination of market-oriented (marketer) and product-oriented (designer) thinking. Combining these different perspectives will only serve to improve the final result for the end user. Design is being taken ever more seriously, enabling it to penetrate right up to board / boardroom level within organizations. Design is no longer merely the tactical execution of an idea applied to a particular carrier media, but the starting point of a business strategy. Designing products, services and experiences is increasingly viewed from a strategic perspective. Solving problems through design is rapidly becoming a default starting point. 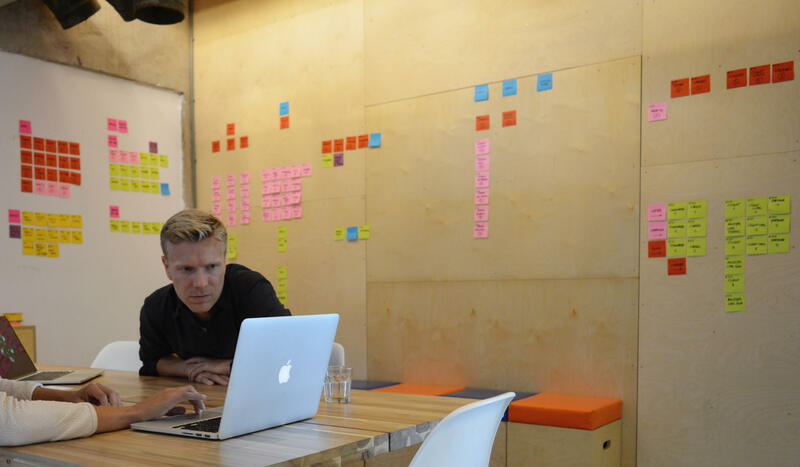 Design thinking is becoming a common notion, aimed at boosting innovation and change. Digital design is modular, and is gradually proceeding towards component design. This releases designers from the restrictions associated with designing complete pages or templates, which has become too limited to accommodate the emergence of numerous screen sizes and devices. By thinking in terms of modules (content blocks, interactions for forms and buttons) a web product becomes more scalable and flexible. The basics should consist of defining design elements and subsequently determining rules of behaviour for these elements . Building on these preconditions, you can design screens at any size without losing the consistency of the user experience. Experiments involving simplification in websites are rapidly gaining ground, covering topics as diverse as navigation, visual language, and micro-interactions, to name but a few. Of course, there is still a demand for good-looking websites that are slick, neat, and unique, but product-user interactions have become tantamount. Simplification yields greater user-friendliness and accessibility. The advent of the hamburger icon on your desktop screen is a clear example of a successfully executed mobile-first design strategy. Moreover, increasing numbers of input fields and forms are being served ‘all-over’ to improve user-friendliness and naturally increase conversion by removing potential distractions surrounding these focal objects. These three trends are just a rough outline of our contribution to the Marketingfacts yearbook. The yearbook (in Dutch) is available via the link below. Be sure to follow Marketingfacts for the latest trends and news relating to interactive marketing.